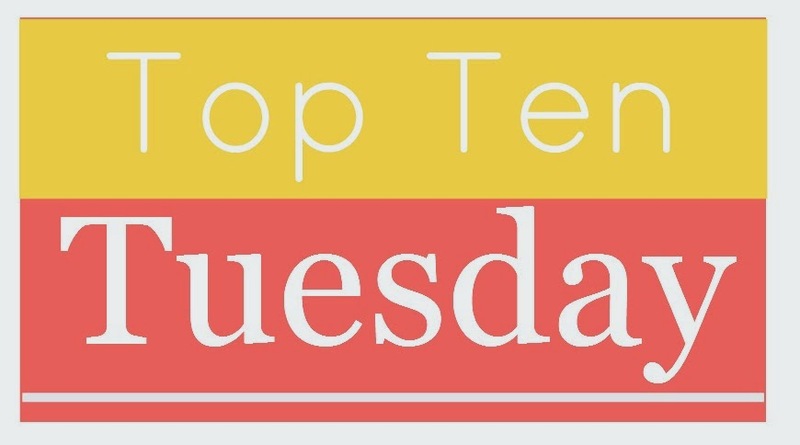 Y'all know how much I love Top Ten Tuesday. It's a fabulous weekly meme hosted by the ladies over at The Broke and the Bookish. If you're looking for great new book blogs to follow, lots of reading recommendations, and traffic for your own blog, you want to get in on this. Plus, it's fun to respond to the weekly question. Before we get to that, though, I want to make sure you know about the awesome giveaway I have going on right now. Up for grabs is a signed hardcover copy of Fairest, the newest book in The Lunar Chronicles series by Marissa Meyer. It's a prequel that tells Queen Levana's story. The winner also gets a signed bookmark. Cool, right? Click here to be redirected to the giveaway post. Don't forget to come back after you enter! 1. The Road by Cormac McCarthy—I broke one of my cardinal rules by watching the movie version of The Road before reading the novel. One of these days, I'm going to brave the book. 2. 1984 by George Orwell—My husband is aghast at the fact that I haven't read this dystopian classic. I need to remedy that soon. 3. On the Beach by Nevil Shute—I didn't love this bleak tale in movie format, so I don't know how I'll feel about the book. Still, it's on my need-to-read list. 4. Ender's Game by Orson Scott Card—I've tried to read this one a few times and can never get past about Page 50. I'm not planning to attempt it again, but I still can't believe that I've never read it all the way through. 5. The Stand by Stephen King—Right? I need to read this one, like, ASAP. 6. Under the Dome by Stephen King—Ditto for this one. I've got a copy on my bookshelf, it's just so dang HUGE. I'll get to it one of these days. 7. Lord of the Flies by William Golding—I'm pretty sure I have read this one, it was just so long ago that I don't remember much about it. Either that or I've never read it. I definitely should. 8. 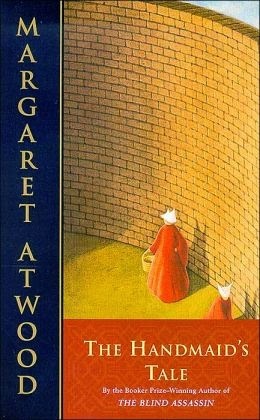 The Handmaid's Tale by Margaret Atwood—I started this one a few months ago, but put it down in favor of a newer, shinier title. I need to get back to it. 9. Fahrenheit 451 by Ray Bradbury—I read this book-burning dystopian classic back in junior high or high school (you know, a million years ago). A re-read is long overdue. 10. The Time Machine by H.G. Wells—I've never read anything by Wells. This would be a good place to start. What do you think? Which dystopian big hitters do I need to read ASAP? Which have you read and loved? What books can you not believe you've never read? I loved Ender's Game and I absolutely didn't expect to! I read it for book club one month and it was by far my favorite discussion. Hope you're able to read some of these soon! I've read Ender's Game, The Handmaid's Tale, and Fahrenheit 451. I didn't much care for any of them, although I did like Ender's the best out of the three. I'd like to read The Road, 1984, and Lord of the Flies too. I have never read Ender's Game but I loved the movie! Great list! Well, THE STAND is my favorite Stephen King novel of all time. I've read it several times. I can remember taking time my senior year of college to read this right after it came out. A flu pandemic, epic battle between good and evil - what more could you want?? Oh man, most of these books are also ones I can't believe I haven't read and I own quite a few of them, too! I finally read The Handmaid's Tale last year and it was really good. So many books, so little time! Wells is definitely a great place to start. The Road and The Handmaid's Tale are so good. I hope you like them! Ugh. Just skip Ender's Game and Lord of the Flies. they're awful. The Road is a super fast read and very similar to the movie. I loved 1984 but mossy people hated It. 1984 and Ender's Game were SOOOooooo good! I can't say I was a huge fan of Fahrenheit 451 or Lord of the Flies, but I largely blame the fact that I had to read them at the same pace as the rest of the class. I've actually never read any of Steven King, though I probably should at some point. And I haven't read The Handmaid's Tale or The Time Machine, both of which are ones I've considered and never bothered to get around to. I love the genre - I really need to read some of the classics in this genre! Handmaid's Tale and F451 are must reads! Both are life changing! I wasn't impressed by The Time Machine- too much thinly veiled political expression and not enough plot and action. Great list, there are some awesome dystopian books on here, especially The Handmaids Tale. I have to say The Road was a difficult read its a book with very little in terms!s of explanation, its a frustrating read to say the least, but definitely interesting. I've actually only read two of these - Lord of the Flies, which I read as a teenager and loved, and Ender's Game which was an unexpected hit for me. I found it difficult to get on with at first, and some of the writing style is strange, but I ended up loving it in the end. I know you couldn't get along with the book, but the film adaptation is pretty good so might be worth a go!